Judy Norman has been on the road with Pipeline Theatre in their celebrated piece, Spillikin, since November. 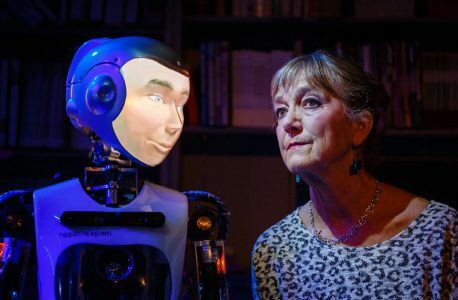 Spilikin tells a story of the love between a lady and a humanoid robot, and is a collaboration between Pipeline and Engineered Arts. The second leg of the tour will kick off at Plymouth Theatre Royal on 31st January, and visits the Pleasance, Islington for a week in March.